We have integrated our business activities to offer a unique collection of Temperature Controllers. These are specially developed to give optimum performance and dimensionally accurate products. Our range is widely appreciated by our clients for its fast output response and accurate PID parameter auto tuning; Temperature Controllers support Modbus communication protocol. 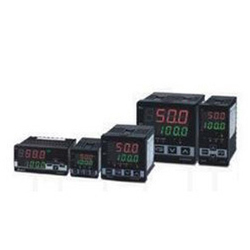 We are highly renowned for offering DTA Series of Temperature Controllers which have grown up the popularity charts along with time. They consist of various handy functions and are highly capable of ensuring fast & stable data transmission. Manufactured as per the most advanced market trends and utilized for practical applications; they include 3 most-frequently adopted signal outputs. Our products are highly reliable and efficient, offer precise results and consume less power. They are used in boiler coil pipes in central air conditioning and heating systems. We are offering excellent quality Temperature Controllers (DTB Series) which are digital servo systems with standard functions. 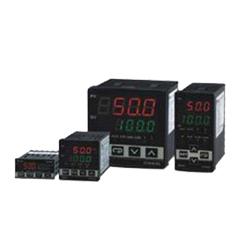 Our products have the ability to support pulse command input & analog digital control. Moreover, they are available at effective prices and provide built-in position /speed / torque control modes. Our products are available in various designs and optional and handheld digital keypad is used for parameters editing and operation. Our products have completely flooded the market and they come with gain tuning function. It furthermore, helps in easing operations and the internal memory blocks help in shortening the parameters upload and download time. Modbus communication protocol is supported as standard. We have mastered the art of offering Temperature Controllers (DTC Series) which are available in various specifications and designs. They are available at effective rates and score on quotients like effective quality, durability, longevity, optimum usage and performance. We customize and package our products’ completely according to clients’ specifications. 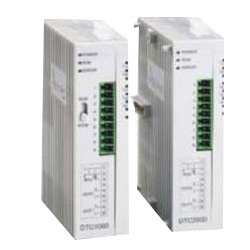 The modulated DTC series saves wiring and the parallel modules are able to monitor many temperature points. The flexible output methods enable the user to plan the output modes according to the actual needs. The built-in password protection prevents improper operation or damages caused by the operation staff. These products are used in Blower coil pipes in central air-conditioning system, heating system. We have gained complete monopoly in the market and we are offering effective quality Temperature Controllers for Electronic systems. These products are utilized for various applications and are known for high quality, long life, durability, corrosion and wear and tear resistance, optimum usage and performance. They are also available at market leading prices. We offer an assortment of Temperature Controllers for Electronic Valves which have helped us in extending our market base. Completely developed in accordance with the most updated market trends’ our products are reputed due to fine quality, durability, effective usage, long life and maximum performance. We make available products completely as per customers’ valuable specifications.